NEW DELHI (CNS) — As Pope Francis began his tour to Myanmar and Bangladesh, Catholics in neighboring India regret missing a chance to meet him in their homeland, nostalgically recalling past papal visits, reported ucanews.com. Catholic groups began discussing plans to host the pontiff earlier this year, after the Vatican confirmed a papal visit to the region. The lack of an official invitation for Pope Francis to visit India is widely seen as being the result of political considerations by Prime Minister Narendra Modi’s government. The government is run by the Hindu nationalist Bharatiya Janata Party. Observers say the BJP feared that Modi hosting Pope Francis would have alienated majority-Hindu voters ahead of scheduled 2019 national elections. However, Cardinal George Alencherry of Ernakulam-Angamaly said the outcome had disappointed the entire Indian church. Cardinal Alencherry was scheduled to join a papal Mass in Bangladesh, ucanews.com reported. 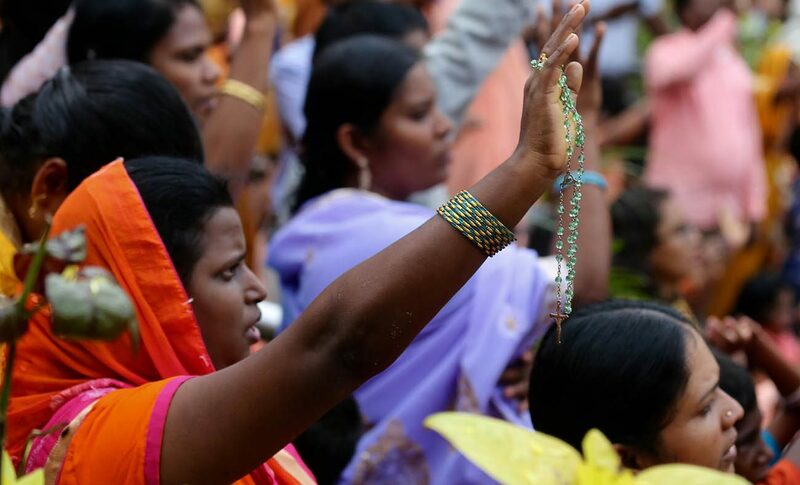 A wide cross section of Indians interviewed by ucanews.com said a papal visit would have uplifted Christians facing violence and threats from extremist Hindu groups, especially in northern India. One of those unhappy about Pope Francis not visiting India was Johana Xalxo, an Oraon ethnic minority women and a school principal in New Delhi. Xalxo, 52, said she was privileged to meet St. Pope John Paul II in 1986 when he toured some 15 Indian cities, including her city of Ranchi. She was part of a group that danced to welcome St. John Paul. “It was an exciting experience,” she recalled. Xalxo noted that papal visits lifted the morale of indigenous Christians, who often felt weak and neglected, providing them with a sense of belonging to a larger community. She added that a generation of indigenous people had grown up since a pope last visited tribal areas. The last papal visit was in 1999, when St. John Paul launched the apostolic exhortation, “Ecclesia in Asia.” The ailing pope then limited his tour to just the capital. He said much would have been gained from Pope Francis also coming to India this year, particularly considering persecution of religious minorities such as Christians and Muslims by extremist Hindu groups. Peter Lobo, 59, a retired Catholic police officer in Pune, said Catholics such as himself have been denied a rare opportunity to see Pope Francis.